IMPRECATED SIGN WITH UNGODLY RUINS PRODUCTIONS! Russian blasphemic brutality Imprecated signs with Ungodly Ruins Productions to release their debut full-length album. Crushing Texas style slams, fast blastbeats and punishing growls brought together to bring you the best traditions of brutal death metal for fans of Sarcolytic, Sect Of Execration and Infernal Dominion. Imprecated has already released their debut 2-song demo called "Portal" which is now available for online streaming on bandcamp. Free physical version of demo is available now and limited to 50 hand-numbered CDr in exclusive package with t-shirt and logo sticker! VERMINGOD - WHISPERER OF THE ABYSMAL WISDOM AVAILABLE NOW! Unique atmosphere of pure chaos from this amazing death metal band from Greece! Get ready for mysterious guitar riffs, very impressive drum work and stunning brutal vocals! Powerful and high quality production done by Steve Lado in Athens. This release will impress all fans of Vile, Suffocation and Gorguts. Don't miss this great CD! BYONOISEGENERATOR - TURBULENT BIOGENESIS AVAILABLE NOW! Ten turbo blasting atoms from Russian ultra tech-grinding brutality ByoNoiseGenerator! High-speed rabidity with some jazz inserts and conceptual lyrics about biochemistry will blow your mind on molecules. Highly recommended for all fans of experimental madness in vein of Foetopsy, Malignancy and Psychofagist... Buy or die! INTENSE HAMMER RAGE - BETTER TO KILL THAN LISTEN TO THIS AVAILABLE NOW! Ungodly Ruins Productions proudly presents legendary twisted brutal gore madness since 1994! Brand new album "Better to Kill Than Listen to This" coming 30.09.15! Heaviest shredding, complicated but structured drum parts and four sick vocals! Awesome mix of brutal death and grindcore with some smashing slam riffing! Massive sound of this perfect piece of brutality will split your skull in half! Recorded, mixed and mastered by Joe Haley from Psycroptic at CrawlSpace Productions. Do not miss this sickness! CORPSEFLESH - GROTESQUE INBREDS SOLD OUT! Crushing 5-track EP from Australian masters Corpseflesh is unsurpassed savagery in the best traditions of old school brutality with no plastic sound, amazing guitar riffs and killer atmosphere! Originally released in 2014 by band in digital format, but history refuses to remember mp3 and now this piece of ferocity is available on CD and limited to 100 hand numbered card sleeves for true fans of extreme music! DEMIURGON - ABOVE THE UNWORTHY AVAILABLE NOW! Ungodly Ruins Productions proudly presents Demiurgon with their debut album "Above The Unworthy". Absolutely crushing premium-class death metal from Italy featuring members of Unbirth and Darkend! 10 original songs with amazing structures, impressive guitar riffs, explosive drumming, atmospheric solos and killer vocals! Mixed and mastered by Stefano Morabito at 16th Cellar Studio. Amazing cover art done by the almighty Par Olofsson! SYMBIOTIC - METANOIEN AVAILABLE NOW! Technical Death Metal from Mexico for all fans of The Faceless, Necrophagist, Spawn Of Possession and Obscura. "Metanoien" is excellent ballance of beauty and cruelty. Severe dark riffs often shifting with stunning melodies, explosive solos, amazing drum work and killer vocals. Conceptual lyrics will make you plunge into themystery of the beginning of the end. Do not miss your copy, in stores now! IMPURE VIOLATION - LUST IN A VULGAR DISPLAY OF VIOLENCE AVAILABLE NOW! Morbid brutality from the depth of Western Australia is finally coming out! Atrocious guitar riffs, insane drums, inhuman vocals and obscure atmosphere will not leave you indifferent. Featuring guest performances from members of Devangelic, Infecting The Swarm, Entrails Eradicated, Omnioid and Neurogenic. A real must have for all fans of nowaday brutal death metal! Get your copy now! BAALSEBUB - PROCEDURE OF EMASCULATION SOLD OUT! Ungodly Ruins Productions presents the collectible release from Estonian medieval brutal executioners Baalsebub. 16 minutes of crushing brutality in vein of Brodequin. 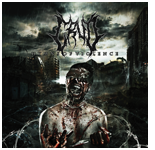 Includes previously unreleased "Procedure Of Emasculation" single 2014 and "The Great Plague" EP 2013 re-issue. Limited to 100 hand numbered digi-sleeves. FERMENTED MASTURBATION - PERVERTED SLAMICIDE SOLD OUT! Slow motion bulldoser with members of Kraanium crawling from dark and cold Norwegian forests. 7-track EP called Perverted Slamicide will smear your intestines and mix them with fat lumps of slamming beatdown sickness! Highly recommended for all fans of Abominable Putridity and Cephalotripsy! Mixing and mastering by Tsun Tsun Productions. Sick cover art done by Nev! Not so many copies left, get your right now! EMBLUDGEONMENT - INFINITE REGRESS AVAILABLE NOW! Lurking in New Jersey, pure evil is ready to be unleashed! Long avaited debut album from this amazing death metal band featuring members of Waking The Cadaver, Aurora Borealis and former Pyrexia members will torn you inside out. 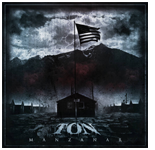 8 masterpiece songs with crushing guitar riffs, explosive solos, high performace drumming and insane vocals. Featuring sick cover art by the almighty Jon Zig! Prepare yourself for total annihilation! UNGODLY RUINS PRODUCTIONS AND EGREGIOUS STARTS COLLABORATION! We are happy to announce the newest addition to the Ungodly Ruins roster called Egregious! Sick and blasting brutal death metal from Russia / Belarus. Their songwriting ideas will be appreciated by fans of killer bands such as Guttral Secrete, Heinous Killings, Putridity etc. These guys released 2-song demo in 2014 and now they start works on new material for the first full-length CD which will be ready in 2015! SLAVES OF SUFFERING SIGNS WITH UNGODLY RUINS PRODUCTIONS! Ungodly Ruins Productions is very proud to announce the signing of Slaves Of Suffering! Devastating brutal death metal from the bowels of Tijuana, Mexico, featuring ex-members of Shattered Eyes! Grown in the dark cellars, this beast is ready to move into you! Debut album will be recording at Audio Zombie Studio by Diego Soria, bass player of Disgorge (US) and Broken Hope! Do not miss this killer stuff! LASCIVIOUS JOINED THE UNGODLY RUINS ROSTER! Ungodly Ruins Productions proudly welcomes Lascivious! One man ultra brutal creation from Austin, TX! 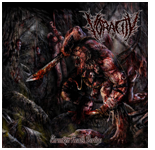 Be ready for absolutely uncompromising butchery in the best tradition of Orchidectomy, Artery Eruption and Enmity! Founder and sole member Zach Fogle ideally plays guitar, drums and bass, has amazing guttural vocals and ready to prove that one man can sound not worse than the whole band. With every minute this stuff sounds more violently and swallows its listener in pus and blood clots! ORGIASTIC REBIRTH - CORRIDORS OF REPUGNANT SUFFERING AVAILABLE NOW! Devastating brutal death metal from New Zealand with horror and old school atmosphere in the best traditions of Suffocation, Incantation and Pyrexia! Seven original songs supplemented by two covers of Mortician and Death. Amazing cover art by Mottla! CORPSEFLESH - TATTOOED BY A BLOWTORCH AVAILABLE NOW! Brutal Death Metal from Western Australia in the best traditions of Gorgasm, Dying Fetus and Cryptopsy! Fast old and new school riffs diluted with crushing slam parts. Amazing artwork by Arthur Ryabov! Real must have for the connoisseurs of genre!